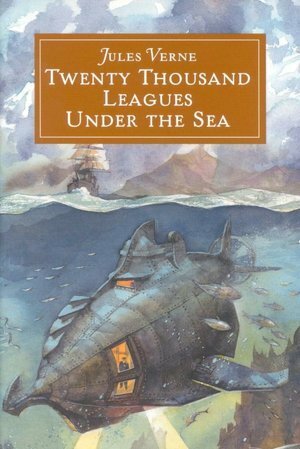 Thousand Leagues Under the Sea, by Jules Verne. Today I’m continuing with the Blogging from A-Z Challenge hosted by Arlee Bird and his team of awesome bloggers. My theme is: Elements and features of speculative fiction and entertainment. So throughout April I will be blogging about characters, objects and themes that appear in sci-fi, fantasy and dystopian series. 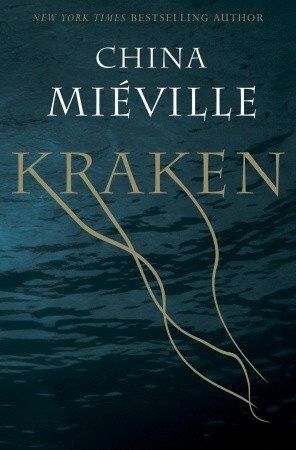 Today’s post is all about Krakens. Krakens are gigantic legendary sea monsters said to dwell off the coasts of Norway and Greenland. The word kraken comes from the Norwegian ‘krake’, which means an unhealthy animal or something twisted. The early descriptions of krakens were of crab-like creatures, but more recently they are usually portrayed as octopus or squid-like creatures with huge tentacles and a beak-like mouth. The legend may have originated from sightings of real giant squid, estimated to grow up to 15m (50ft) long. They live in the depths of the ocean, but have occasionally been sighted at the surface and have reportedly attacked ships. Krakens are said to cause sudden, dangerous currents and bubbles of water, which resemble the volcanic activity in the Iceland region. The Kraken appears in the 1981 film Clash of the Titans as a giant, four-armed humanoid with scales and a fishtail. In the 2010 version, it features as a servant of the Olympian Gods. In Pirates of the Caribbean: Dead Man’s Chest, the kraken is more cephalopod-like and follows the commands of Davy Jones, destroying anything he desires-usually ships or anyone marked with the Black Spot. The crew rotates the ‘kraken’s hammer’ to blast shockwaves through the ocean in order to summon it. Mr. Gibbs claimed that the kraken can “suction your face clean off” with its powerful suckers. It uses these suckers to drag itself across the ocean floor, as well as attacking enemies. It has two tentacles significantly larger than the others, like the hunting tentacles possessed by real-life squids and cuttlefish, which it uses to crush ships. It’s mouth is filled with over six sets of spiked teeth and its breath smells of “a thousand rotting corpses”. Walt Disney Pictures became the first studio to produce this mythological creature using CGI. Jules Vernes’ depiction of the famous giant squids from Twenty Thousand Leagues Under the Sea is based on Erik Pontoppidon’s descriptions of the kraken in Norges Naturlige Historie (Natural History of Norway). Pontoppidon claimed that the kraken was sometimes mistaken for an island, and that the real danger was not the creature itself but the whirlpool it left in its wake. In the novel, giant squids attack the submarine Nautilus. In the series A Song of Ice and Fire by Geroge R R Martin, the sigil of House Greyjoy is a golden kraken on a black field. There is a giant squid in the Black Lake at Hogwarts, but is described as friendly. It rescues Dennis Creevey when he falls off his boat on the way to the castle, and allows Lee Jordan and the Weasley twins to tickle its tentacles. Does the idea of the kraken terrify you, or do you think they’re kind of cool? My mind immediately went to Pirates when I saw the post title. I'd forgotten about the giant squid in HP. Thanks for the reminder. It's been years since I read those books. My cat, Gypsy, when she was irritated always got that Zeus look to her face from CLASH OF THE TITANS: "RELEASE THE KRAKEN!" As always a great, fun post! Nice post! I didn't know this much about the kraken. I'd read about it in a kids' book, The Island of The Aunts by Eva Ibbotson. I'm cool with sea monsters as long as they leave me and my loved ones alone. I've heard about the Loch Ness monster. If I ever visit Scotland, I'd be curious to go to the spots where there have been sightings.